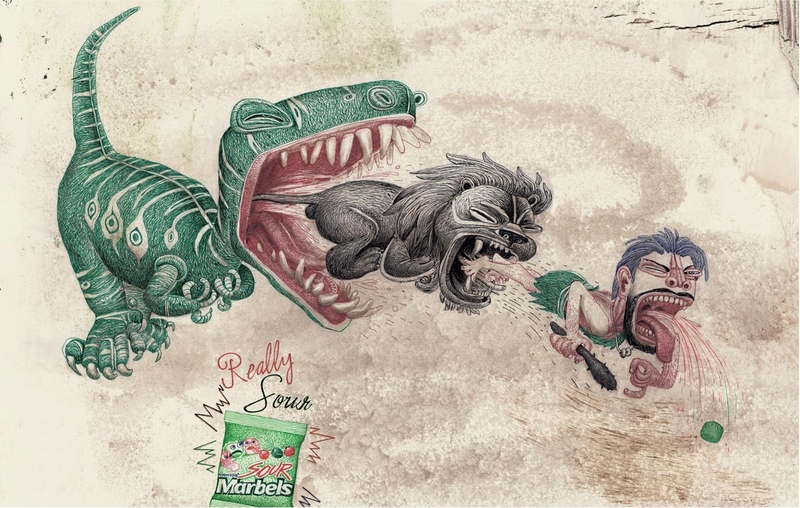 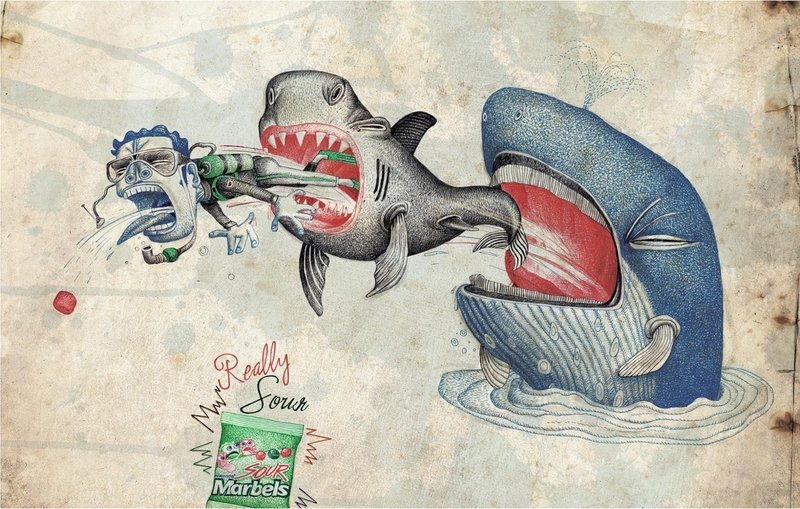 Perfetti van Melle India is promoting Mentos Sour Marbels as “Really Sour” in an amusing print advertising campaign featuring the art work of Deelip Khomane. The chewy sweets with the sour flavour were introduced in 2004 with three flavours: tamarind, green apple and orange. Sour Marbels prove too much for a caveman, diver and tourist, along with their food chains. 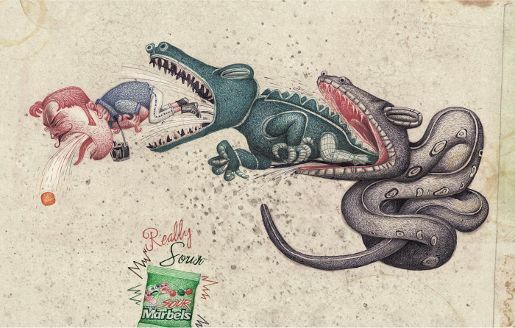 The Really Sour campaign was developed at Ogilvy India, Mumbai, by executive creative director Piyush Pandey, creative directors Abhijit Avasthi, Rajiv Rao and Anurag Agnihotri, art director Ashish Naik, copywriters Saurabh Kulkarni, Nasrullah Husami, and illustrator Deelip Khomane.